It’s birthday cake plus cheese and pineapple on sticks all round this issue as Descent 266 celebrates 50 years in print. And it’s a visually stunning issue to mark the special anniversary. 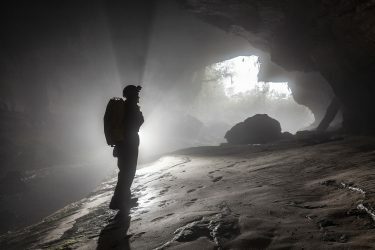 Caving hut clubs and student bedrooms are likely to be decorated with the gorgeous double-sided poster that’s the free gift with this issue – one side is Gaping Gill’s main chamber, and the other Xe Bang Fai River Cave in Laos. And the printing is climate-neutral, thanks to financial support going to a Brazilian forest project. Equally breathtaking is the ten-page photo feature of the caves below the Guadalupe Mountains that stretch across south-eastern New Mexico and west Texas. As ever, three pages of Newsdesk provides a whistle-stop tour of underground news from around the world, starting with a quick run-down of Descent’s own history. Chris Howes and Judith Calford have been editing the magazine since 1988! To celebrate the anniversary, there’s a new website design that combines good looks with functionality. Take a look! White Nose Syndrome continues to devastate the bat population in the States, with stringent decontamination measures being imposed on cavers and their gear. Fortunately, this has been found to have minimal adverse impact on kit. Chemicals are a problem at Fantastic Caverns in Missouri where leakage from a now-closed industrial park is slowly seeping towards the caves, 5km away, and measures to prevent problems for the showcave are proving costly. The Kendal Mountain Festival proved another hit with cavers. The underground session featured caver and cave diver Christine Grosart taking about her diving project in Croatia, followed by Imogen Furlong on her experiences caving in south-east Asia, then Jason Mallinson gave an insider’s account of the Thai cave rescue. Sadly, rescue wasn’t possible for 15 men in a recent coal mining disaster in Meghalaya, where only five miners escaped as water flooded out of a breach in a mineshaft wall. 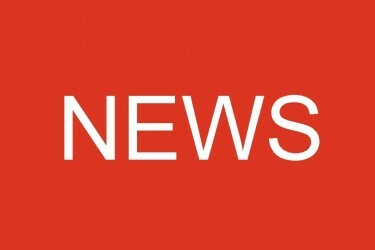 News from around the region starts in the Peak. The BCRC’s first medical training weekend proved popular, and there’s rumours of great potential in P8’s Christmas Aven. On a sad note, the caving world bids farewell to David Jackson and Gordon Parkin. In the north, if you fancy owning a cave, High Birkwith is for sale and there is as yet no news on the question of future access. But in better news, an agreement has been reached with the Langcliffe Hall Estate regarding caves on their land. There’s been a fair bit of activity in the Forest of Dean, with digging in Green Moss Pot and a dye-tracing project in Slaughter Stream Cave. The archaeology at Fishmonger’s Swallet in Gloucestershire has been captured on film again with Clive Anderson and Mark Horton presenting, although of the two, only Mark was gung-ho enough to tackle the cave again. There’s also news of the Gloucester Speleological Society’s dig in High Wood. On Mendip, the JRat Digging Award was taken north again, with another win for Scotland’s in Uamh nan Clachan Dubhan, and creditable mentions for Mendip’s Halloween Rift and Vurley Swallet. An accumulator table gives the total cave length found by digging in the two regions for the ten years between 2008 and 2018. In the south west, cavers have been enthusiastically burrowing underground in one of Britain’s lesser known caving regions on Portland. Over in Wales there’s news from Shakespeare’s Cave, as well as access information concerning the walking route to OFD 1 and some concerns regarding future access to Dan yr Ogof due to the apparent restarting of an illegal dig on the hillside above the cave. Across the Irish Sea, another hugely popular SUICRO Symposium was held in Lisdoonvara in Co Clare, featuring a talk by Thai cave rescuer Jim Warny. In Crossmolina, Co Mayo, Dave Drew has been undertaking some work as part of a flood relief project. Back up in Scotland, Clachan Dubh features, as does an addition to the CNCC website which now incorporates many Scottish caves, thanks to Goon’s efforts. A double-page spread looks back over the history of Descent, showcasing how far it’s come visually as well as in content, as well as looking at some early speleological magazines. Five pages are devoted to the search for Wadiland in the Dachstein, with surveys and excellent photos. Closer to home, there have been extensions to Mendip’s aptly-named Sludge Pit with a description and survey of the new passage. The British Cave Rescue Council continues to produce statistics on underground rescues and the ones for 2016 are presented, with a brief run-down of each one. The Thai cave rescuers recently received accolades in the New Year’s honours list and there’s a round-up of the latest news following their heroic efforts. The front cover is a stunning shot taken in the enormous Cottonwood Cave in New Mexico by Chris Howes and in the Descent Showcase on the back cover there’s another shot of some amazing formations from Cottonwood, this time by Philippe Crochet. 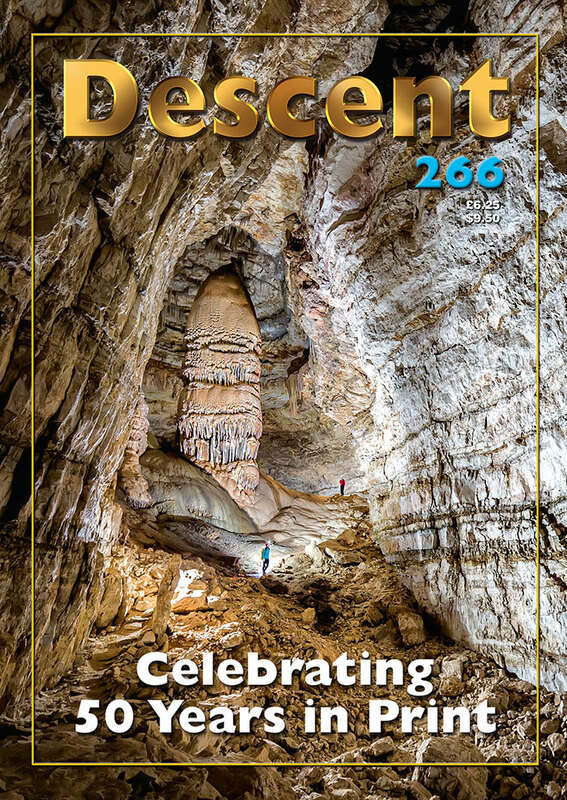 Every issue of Descent amply demonstrates the dedication of the editorial team to bringing together all the latest caving news and stories from around the world, and this one in particular is a testament to the skills employed by Chris and Judith in bringing a high-quality magazine to print throughout the year. 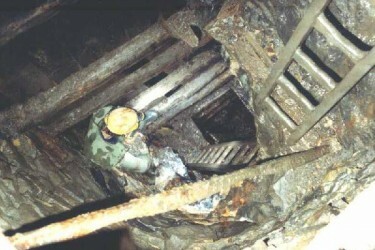 Descent is produced by cavers for cavers and is excellent value for money. Copies may be obtained from Wildplaces Publishing. If you’re not already subscribing, head over to the website and sign up, and if you are already a reader, check that your subs are up to date!